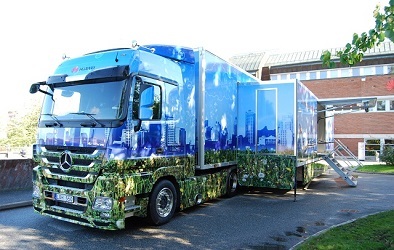 Huawei Technologies is expanding rapidly in Europe, and as part of their venture they have decided to go out and visit customers throughout Europe with several Expomobil trailers. This way, they get the opportunity to meet the decision makers at the major telecom companies, but also the users of the products and other key influence groups, and at the same time show them the latest technology in telecommunications. 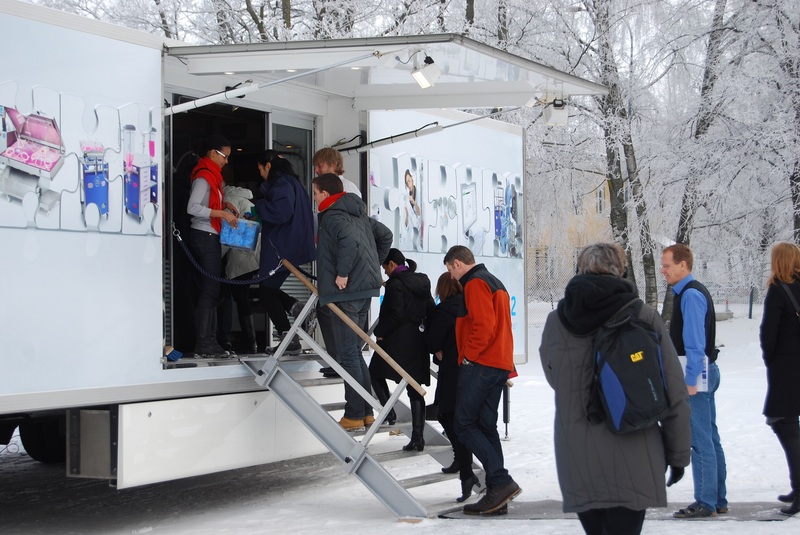 In the Expomobil trailer the visitors get the opportunity to both see the services they offer, but also live demos of next generation mobile networks, and the opportunities they offer to users. Since 2010, Huawei Technologies has bought an Expomobil 70 and completed seven successful roadshows with us, to over 30 countries in Europe. 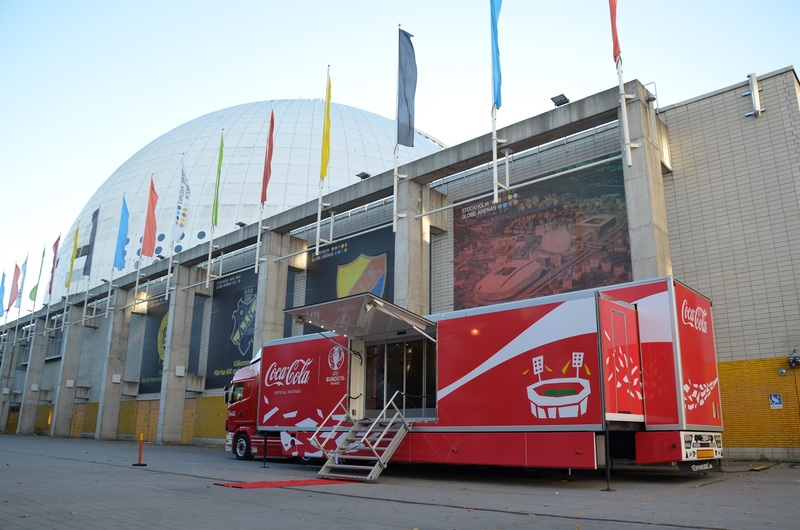 Expomobil helps Huawei with the service and maintenance of the trailer they bought from us, and we also help them to develop new designs and decors in it. 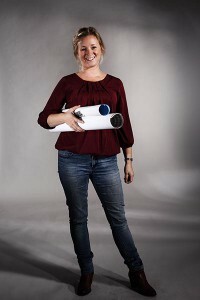 Expomobil has been responsible for the design, interior and exterior profiling, advanced technical installations, warehousing and handling, and also transportation, tour logistics and support through the entire tour. 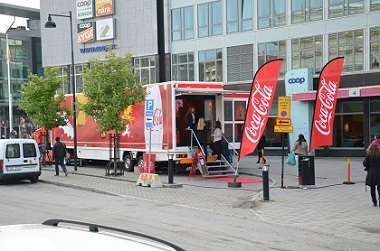 For four years in a row, Coca-Cola Enterprises visited its major corporate clients to present upcoming news. 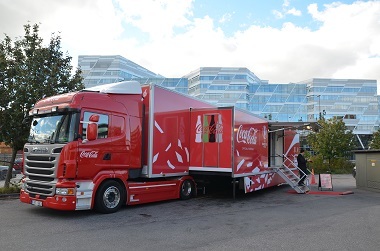 The aim was also to deepen the relationship with the customers and have the opportunity to meet more people from each company, which became possible now, when they came out with the trailer and visited them. Their customers stayed much longer than usual when the trailer arrived at their doorstep. 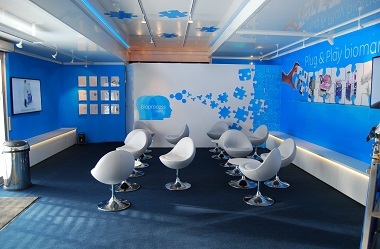 The trailers were furnished and equipped for seminar seating, and between sessions they served breakfast or lunch. 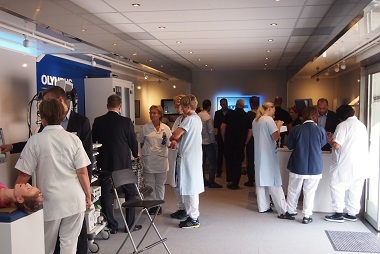 During a 5 week period Olympus voisited 18 hospitals in Sweden with a Expomobil 60, which was furnished both for demonstration of endoscopy products and also for seminars. 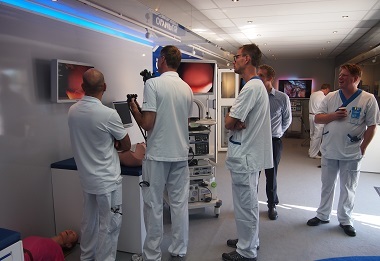 The purpose of the tour was to have the opportunity to come out to their clients in hospitals and offer them training and workshops on the products they use in their everyday lives. 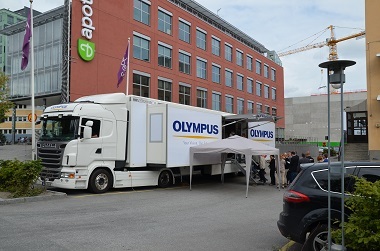 Many of the customers are not able to go to exhibitions or training – now Olympus came to them instead. This meant that more had this opportunity, which was very appreciated! The goal was that 500 people would come to see the trailer – it came over 1000 people! 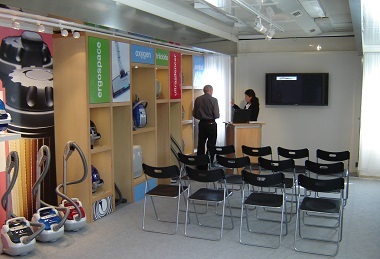 Electrolux has over the years conducted several roadshows with Expomobil. 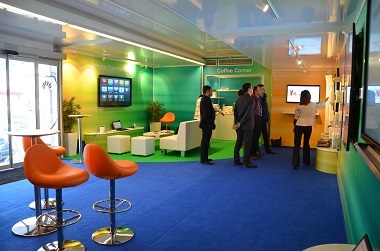 With the trailer as a platform, they have been able to visit a number of different audiences. 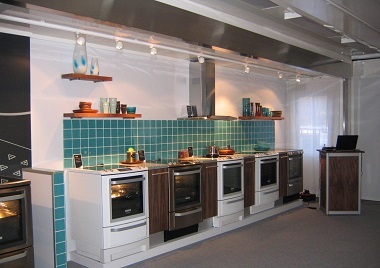 Electrolux Home Products have mainly visited retailers while the Electrolux Storkök focused on restaurant and catering facilities. 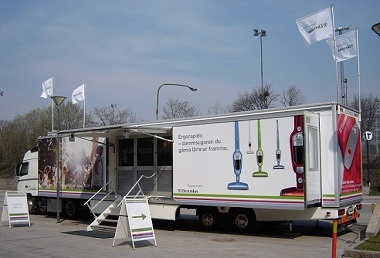 Electrolux Floor Care also conducted a roadshow and the goal was to demonstrate new products, engage and educate dealers. 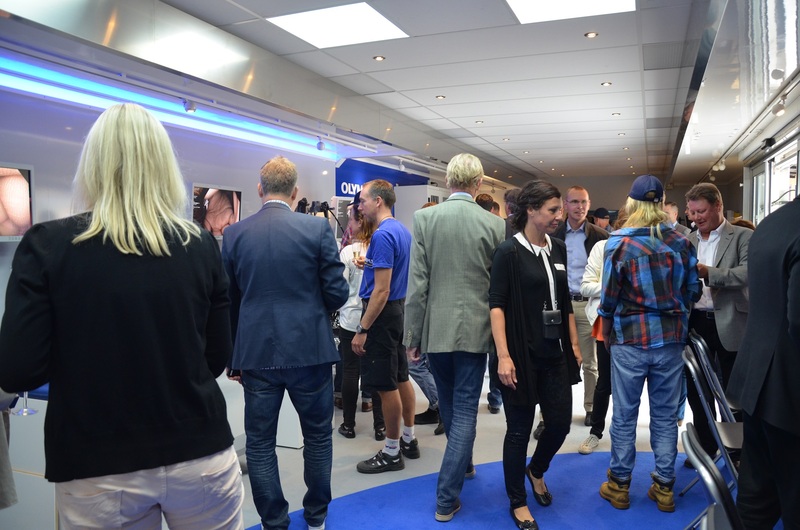 Nearly 700 carefully selected visitors came to Electrolux mobile showroom. 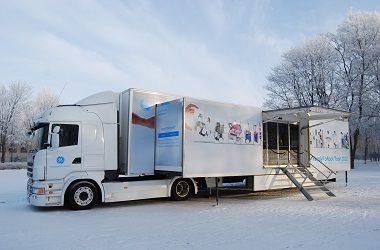 When GE Healthcare wanted to raise awareness among customers about GE’s existence and at the same time demonstrate their instruments and products, they chose to conduct a six months long roadshow in Europe with a Expomobil 70. Half of the trailer was a seminar part for up to 25 people . 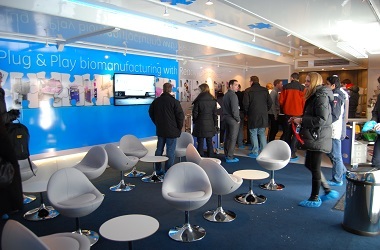 The second part of the trailer was equipped as a lab where GE showed their various products and instruments. 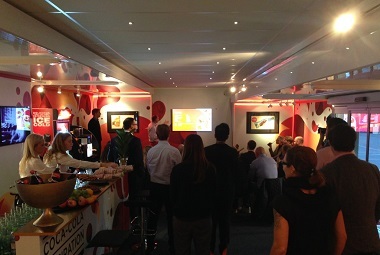 This event was the biggest sales activity GE Healthcare have ever done, and they were very pleased with the results. GE had about 1,000 visitors per week. 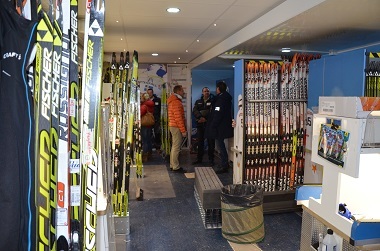 They have met 95% of its major customers during the tour, which is amazing. This event has in a survey given a customer satisfaction rate of 50%, which would normally be at 20-30%. 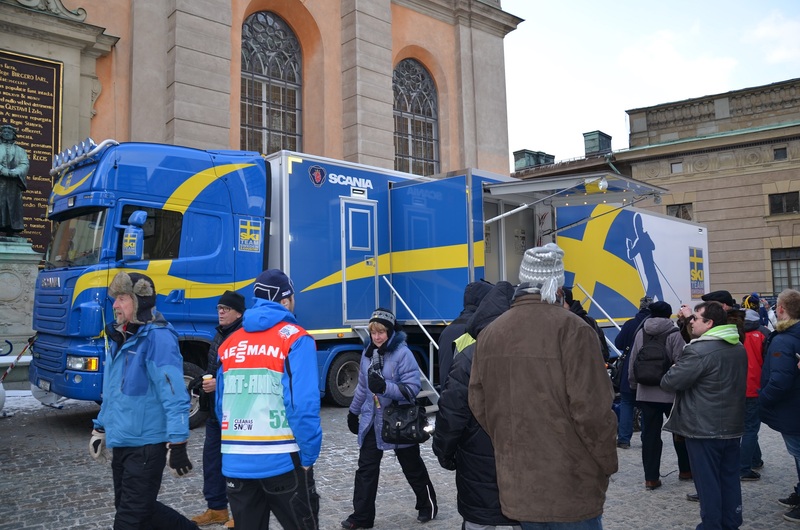 Before the start of the Tour de Ski in 2013 Scania and Ski Team Sweden presented their new waxing trailer – a Expomobil 70. 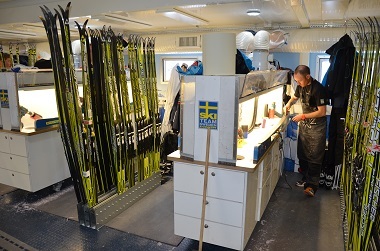 12 working stations for the waxers, nearly 1,000 pairs of skis and a sophisticated ventilation system that supplies the trailer with 800 liters of air per second. This is to minimize the risks from the hazardous vapors that the waxers are exposed to. 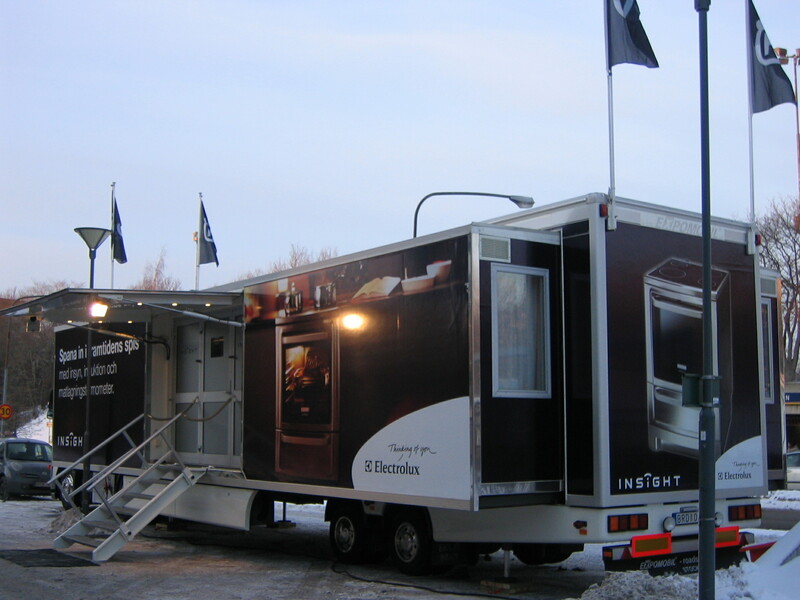 The new waxing trailer received a lot of attention in the media, both in Sweden and abroad.